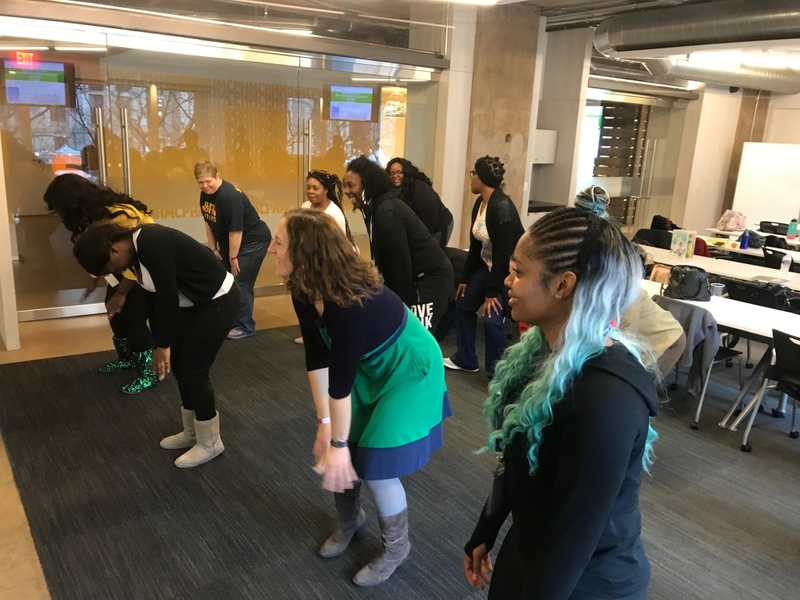 Get Healthy Philly has partnered with First Up to promote the importance of incorporating physical activity in early childhood settings. Read more about our partnership: First Up on Let’s Talk Quality! blog. 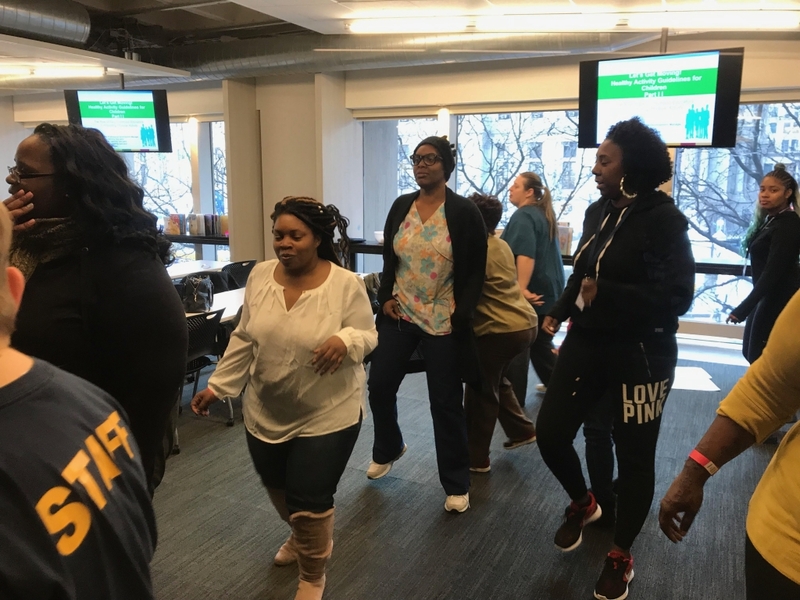 Take a look at all of the fun from our professional development sessions as we celebrate the early childhood providers who are making this a priority and participate in this initiative. 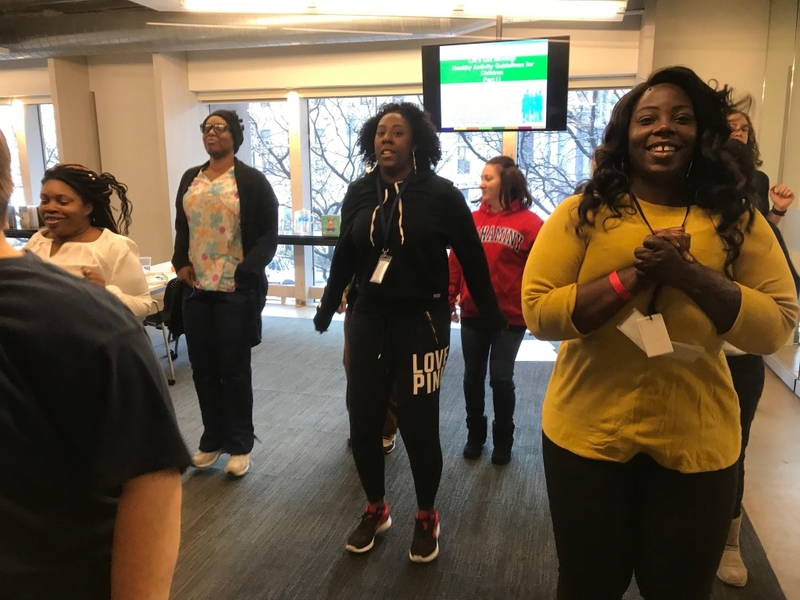 Movement breaks are fun and important for adults, too! L & M Children’s Learning Center, Inc.
Want to make your childhood services more healthy? View the Board of Health Recommendations for childcare providers.